Tamar Hirschl’s exhibition comprises two categories of works: paintings and aquariums filled with cast acrylic resin in which various objects intended for actual preservation are embedded, like in a natural history museum. The two groups are exhibited side by side, but the main emphasis is Hirschl’s paintings of deer—large, proud, posed as if for a portrait photo, but also alert to every noise or movement in the forest. 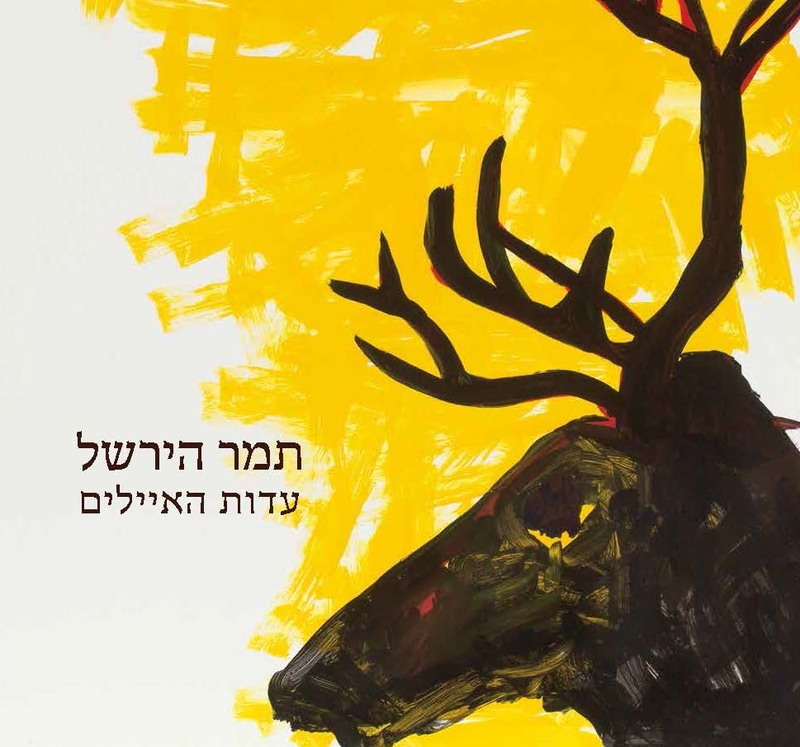 The deer are Tamar Hirschl’s remembrance of a faraway place where a thick forest filled with deer once stood. One day, as has happened many times over, mankind subdued nature. In order to make more room and create further riches, a forest was chopped down and houses were built in its place. On a nostalgic journey back to the old forest, instead of finding the scenes from her recollection, Tamar encountered another place altogether that was, in her view, destroyed, overpowered by mankind. Preservation alongside unremitting invasion becomes the central theme of Tamar Hirschl’s works. In various techniques, she constructs simulations of virtual nature with materials generally used to preserve souvenirs. She embeds naturescapes in synthetic resin, and using acrylic paints draws the deer as symbolizing the extinction of wild nature. In the acrylic resins, she petrifies a setting and small figurines of animals in an expedited process that normally occurs in natural forests over the course of hundreds of years and results in amber—the resin that is left when ancient trees decompose and in which tiny insects are trapped and preserved forever. The natural tree resin turns from liquid into something solid and slightly transparent, but despite the change in its physical state, preserves its organic properties. Amber has become increasingly scarce. Perhaps over time, Tamar Hirschl’s petrified acrylic resins will also become evidence of another time and place, and their value will increase not only because of their artistic quality, but also because they will be witness bearers.